Glen Lerner's Second Chances Month campaign showcases video testimonies of people who successfully overcame physical, emotional, and societal obstacles. LAS VEGAS, NEV., UNITED STATES, April 16, 2019 /EINPresswire.com/ -- Whether it be from the aftermath of a car accident or questionable personal choices, Glen Lerner and his team are experienced at supporting those in need of a fresh start. As such, the law firm felt drawn to showcase success stories during the National Month of Second Chances of those who received a second chance at life with the assistance of four community partners: Hope 4 Prisoners, Las Vegas Hoving Home, Las Vegas Rescue Mission, and F.R.E.E. International. Inspirational and heartfelt video success testimonies will be shared on the law firm’s social media outlets throughout the month to bring awareness to the positive effects that can be achieved when people are given the tools to succeed and overcome difficulties. At the culmination of the month, each of the 24 people interviewed are invited to take part in a Hope 4 Prisoner’s Second Chances luncheon to further celebrate their strength in overcoming physical, emotional, and societal obstacles. The luncheon will take place on April 24, 2019, from 11:00 a.m. - 1:00 p.m. at Texas Station (2101 Texas Star Ln, North Las Vegas, NV 89032). “Second chances offer people hope that they can redirect their life circumstances towards something more positive. That is why we wanted to take this opportunity during the National Second Chances Month to acknowledge those who have made the choice to be more and make a change for the good. We also wanted to bring awareness to our community partners who provide vocational, medical, and spiritual support to these individuals to help ensure their long-term recovery and success,” said attorney Glen Lerner. 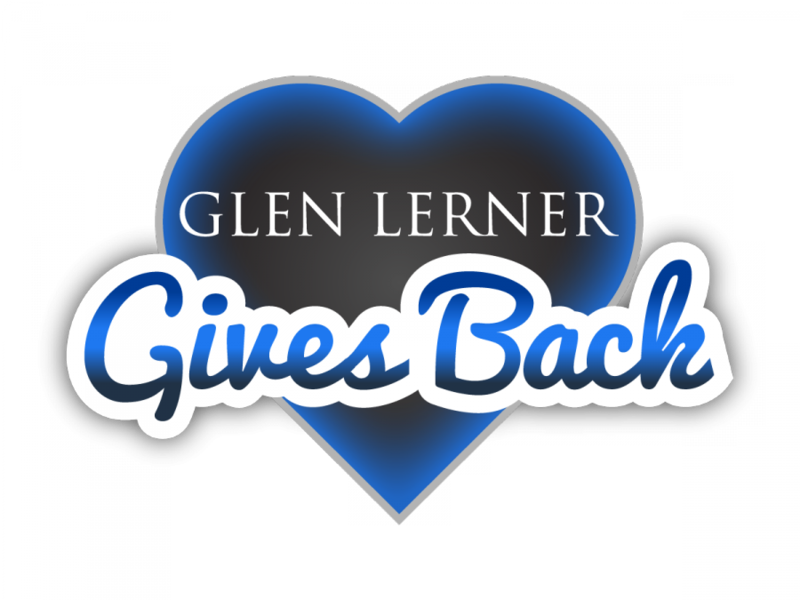 Glen Lerner’s outreach team actively engages with community organizations that seek to give back and have a positive impact within local at-risk neighborhoods. The four organizations chosen to partner with the firm for their Month of Second Chances outreach campaign are just a few examples of those willing to make a difference in Las Vegas communities. To view video testimonials and more details about the luncheon, go to Glen Lerner Injury Attorneys’ Facebook page. For over two decades, Glen Lerner has been a powerhouse in personal injury claims. He and his team know how to put passion into every case they handle. Glen Lerner and his team of personal injury attorneys have become one of the largest personal injury firms in the country, with over 50 attorneys and nearly three hundred employees located in Nevada, California, Illinois, Indiana, Arizona, New Mexico, and Tennessee. Injured outside one of those states? We have an established network of attorneys across the country, ready to help. A personal injury attorney can make the difference between whether you receive fair compensation for your suffering. Our team can handle social security claims, dangerous product lawsuits, and claims for injuries due to dangerous drugs. To find additional information, visit glenlerner.com, or also call (702) 877-1500.